Though there have been many books that analyze film and the significance of children in them, none can compare to Mark Cousins’ documentary A Story of Children and Film. Using examples from the filmography of famous international directors such as Luis Buñuel, Ingmar Bergman, and Yasujiro Ozu, Cousins thoroughly dissects the importance of child actors and how children can be used to portray distinctions in classes and world events. A hit at the Toronto International Film Festival and the Cannes Film Festival, A Story of Children and Film can be seen as a grand visual textbook which is bold in vision. It is thoroughly committed to highlighting films that have been forgotten by the public, ensuring us that they still are important and influencing us to seek them out if we haven’t already. Cousins convinces us that nothing is merely a “child’s film” because even animation can be quite complex and diverse; animation can reveal a tremendous amount about life. Cousins presents a mosaic of clips, images, and significant moments from various films in order to bring forth his distinctive and sometimes strange essay, which often flows like a magnificent poem. He speaks with the confidence of a narrator in a nature documentary: nothing he says seems out of place and everything makes absolute logical sense. When Cousins explains David Lean’s Great Expectations (1946) in terms of social class that is seen through the young main character, you feel as though it’s exactly what the director and writer intended Great Expectations to be. Considering there is a lot of material Cousins could have used, it’s both good and bad that the film is only 100 minutes. The picture could have been longer, but it would have risked overstaying its welcome. A Story of Children and Film is short enough to keep its audience’s attention and long enough to display a wealth of information. Cousins’ film is thought-provoking; film buffs and historians will certainly be drawn to it, and even casual filmgoers may find a reason to seriously get involved with this magnificent piece of art. Check out more of Michael’s reviews at goodbadcritic.blogspot.ca, and catch a screening of A Story of Children and Film at Cinematheque (100 Arthur Street) on Mar. 5-6 at 7 p.m., as well as Mar. 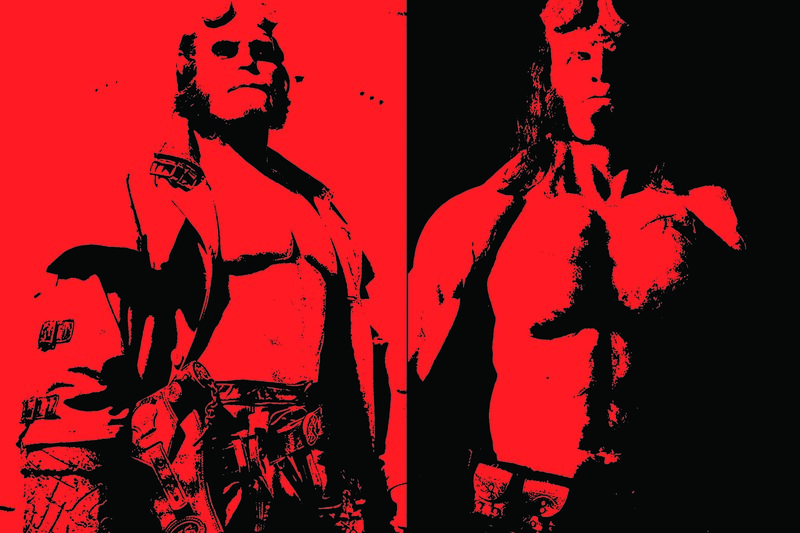 7-8 at 9 p.m.
“Hellboy” (2019) doomed to wander the uncanny valley?